The New Interpreter's Study Bible Notes brings to you the best in academic scholarship on the text of the Bible. Based on the translation from the New Revised Standard Version, these study notes can be mixed and matched with your favorite translation in The Olive Tree Bible App. Brought to you from sixty professors and Bible scholars worldwide, these notes will help anyone understand the theological and translational basis to any subject in the Bible. With over 90 related articles to explain the thematic and theological background of the Bible text, outlines and introductions that explain the history of each book, comprehensive maps of the biblical landscapes, and notes on every verse in the Bible (including the Apocrypha), these study Bible notes will take your Bible study even deeper and open up a new world of understanding. 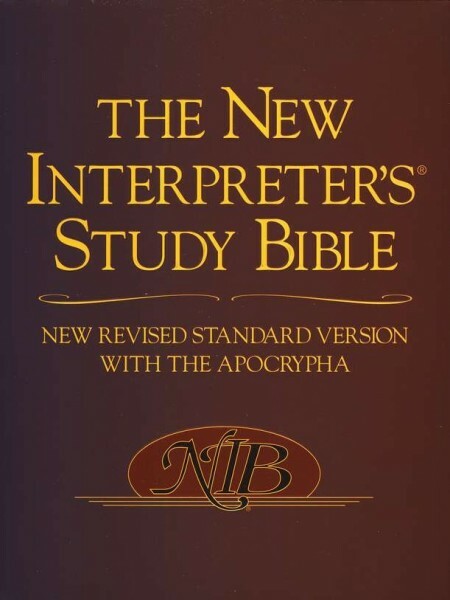 NOTE: The New Interpreter's Study Bible Notes product only contains the New Interpreter's Study Bible Notes. For instructions on how to purchase the NRSV Bible text go here. The NRSV Bible text (or the Bible translation of your choice) uses the Olive Tree's Bible App's powerful Resource Guide feature to link these two resources.